If you are a reader of my Evanisms page you will have seen what a little jokester Evan was on this past Sunday, which was April Fool’s Day. Being the diligent Grandma that I am I decided to have a little April Fool’s fun of my own. I found a post on one of the Mom blog’s that I follow- Money Saving Mom for a little April Fool’s present. 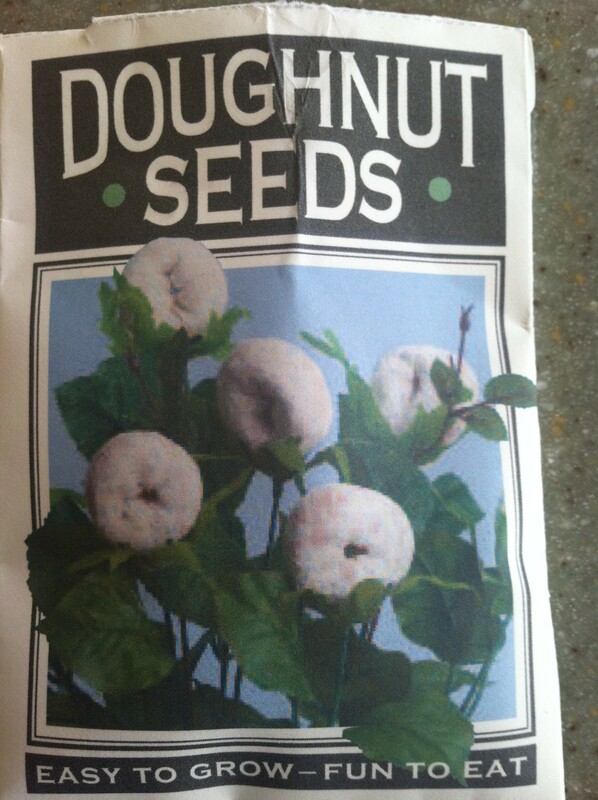 The print out was to make a package of “donut seeds”. There was a pdf link to print out the package and then glue it together, and in the package you place your favorite Cheerios, these are the donut seeds!! I knew this would be a great little April fool’s for Evan once I saw it. It was a fun way to start the day, especially when Evan got in the spirit of the little jokes all on his own. Happy April everyone. Wishing you all a wonderful Spring!